- Primary directory of framework. - Directory with third-party plug-Files API (Google+, and other). - Directory with Google+ API. - Directory is responsible for the authorization by the social networks. - The file is responsible for the authorization via Facebook. - The file is responsible for the authorization via Google+. - The file is responsible for the authorization via Twitter. - The file is responsible for the authorization via Vkontakte. - Directory with executable scripts directly, ie, without loading a template, scripts and styles. Do not edit. - File of authorization and user password recovery. - File generator the graphics of attandance statistics. - The file handler asynchronous HTTP requests to the site. - File generator of captcha. Upon request, the image returns to the figures, and the value is written to the $ _SESSION [ "captcha"]. - File for the generation of config-file /engine/nodes/config.php. - File to perform background operations to the site. - File to view the contents of php, css and js files via the admin panel. - File to generate a page with an error. - Installer of the framework. - File to generate the window ordering. - File with the implementation of PayPal interface for authorized users to complete transactions. - File to generate the chart speed of the site. - File /robots.txt data generator. - File /rss.xml data generator. - File /sitemap.php and .xml generator based on data cache. - The file is responsible for updating the framework. - File for uploading and cropping images. - Directory with library of PHP-functions framework. - The directory that contains the functions responsible for the user’s office. - The directory that contains the functions that display site admin. - The directory that contains the functions that display the site’s content. - The directory that contains the functions that display elements of the interface. - Directory containing the functions that display of goods on the site. - The file contains a class that is responsible for the work of the framework cache. - The file contains a class that is responsible for the generation of a database backup. - The file contains a class that is responsible for email sending. - file containing a basic PHP-framework library functions. - The file contains a class that is responsible for working with files. - The file contains a class that is responsible for working with images. - Directory with system files of the framework. Do not edit. - File that generates the main page of site admin panel. - The file is responsible for the pre-loading of resources framework. - File containing a basic site settings. Generated during the installation process. - File with the required set of HTTP-header site. - The file containing the function lang($value) is responsible for data mapping site in different languages. - The file that creates a connection to the current MySQL database, based on the settings of /engine/nodes/config.php file. - The file is responsible for user sessions. - The main file of the framework is responsible for connecting the backend modules and frontend generation of data based on the template. - Directory with php-scripts, that loads with template, js-scripts and spreadsheet styles. 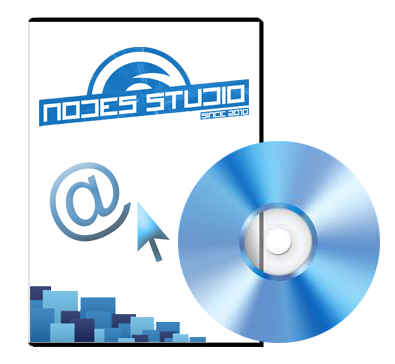 - File that generates the content of the user’s office. - The file is responsible for displaying the site’s content. - The file generates the login page. - The file generates the home page. - The file is responsible for the display of goods on the site. - The file generates a page with a public user profile. - The file generates the new user registration page. - The file is responsible for displaying search results. - Product with favicon-images for all kinds of devices. - The directory for files, downloaded via admin. - A directory with a set of fonts used in the connected templates. - Directory with multimedia resources of site. - Directory for storage of user sessions. - Directory for storage of temporary data during the update process. - Directory of templates and spreadsheet styles. - Catalog of main site template. - Default template stylesheets source file. - Template PHP-file for generation additional frontend data. - Stylesheet of outgoing the email-messages. - File with meta-data site. - Basic framework spreadsheet styles. Do not edit. - The stylesheet for a site map. - Spreadsheet styles of TinyMCE plugin. Do not edit. - Additional styles of TinyMCE plugin. Do not edit. - Spreadsheet styles of image loader. - The Corporate web-server file. - Favicon-image to an iOS device. - Target file to configure the cron program at an interval of 1 minute. Emitted during the installation process. - Favicon-image for old browsers. - Basic Web Site file.